The Appleton Library of Verse series appeared in 1923 and titles were issued until 1928. The series seems to consist mostly of reprints of Appleton poetry titles with what seem to be a few new anthologies. The jackets are common to the series, and rather minimalist in design. 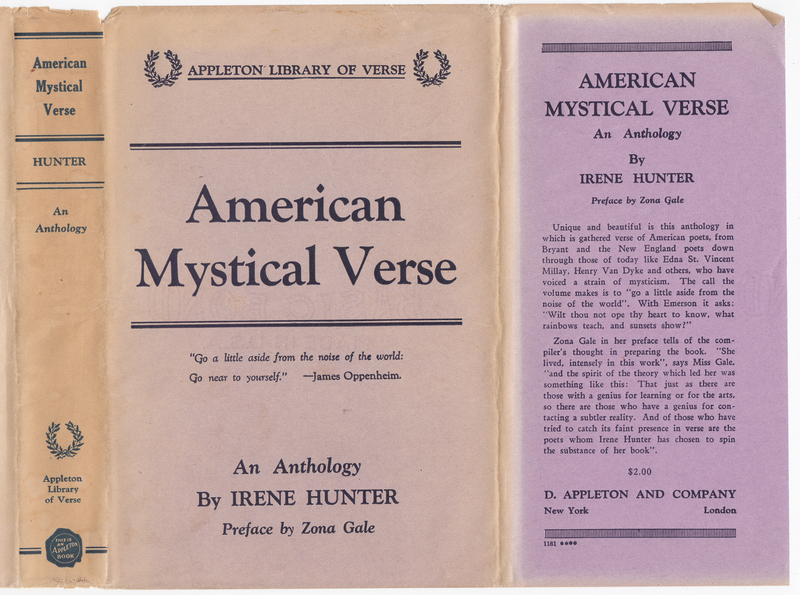 The series name is included on the spine of the jacket along with the title and author (or editor, in this case). The jacket front has the series name. 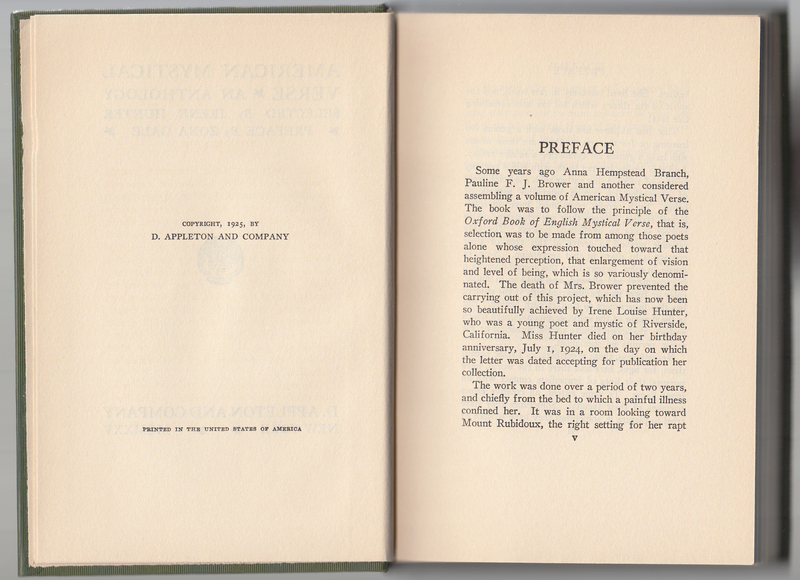 Some jackets, while following the same general design, have a small illustration under the title, or rearrange the key elements (series name, title, etc.). 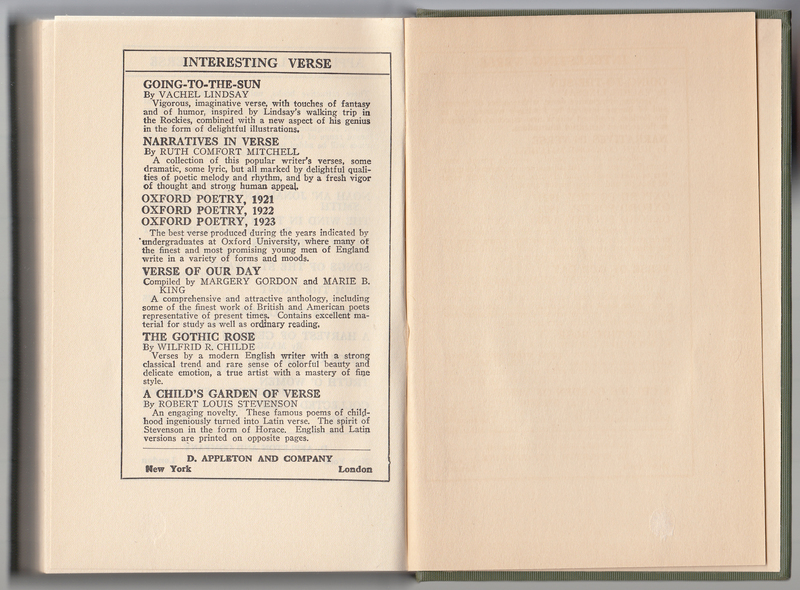 The front jacket flap includes a blurb for the book and a price ($2.00). The rear of the jacket lists 17 titles in the series which I think is the final count. For some unknown reason, there are no books in WorldCat with the series name. 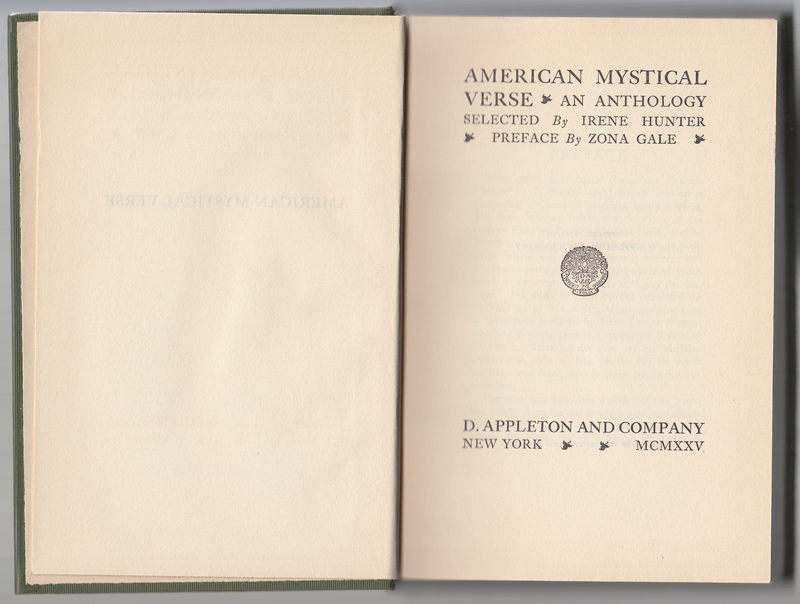 Also, some of the books retained earlier copyright years (pre-1923) and no actual date of printing. Both of these issues make it difficult to confirm the final count of titles and initial year the books were included in the series. 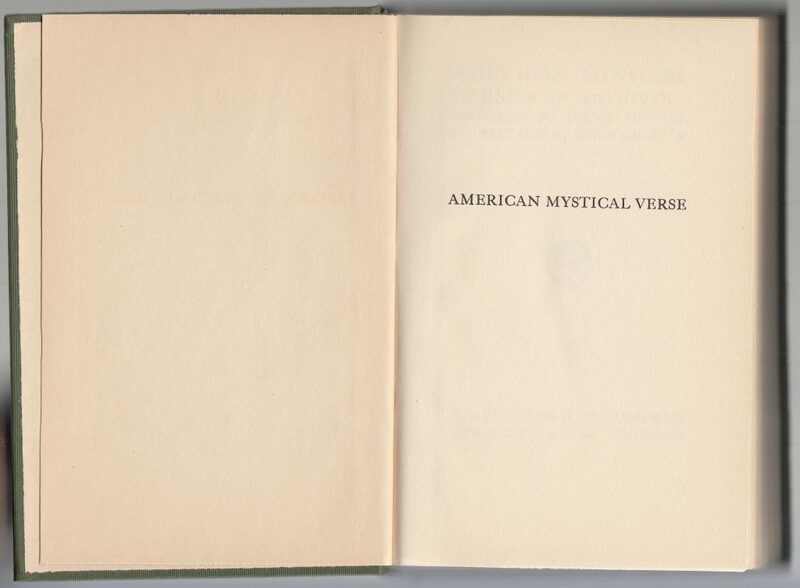 The price of the books varied, probably based on length and copyright costs, from $1 to $2 with the majority at $1.50. 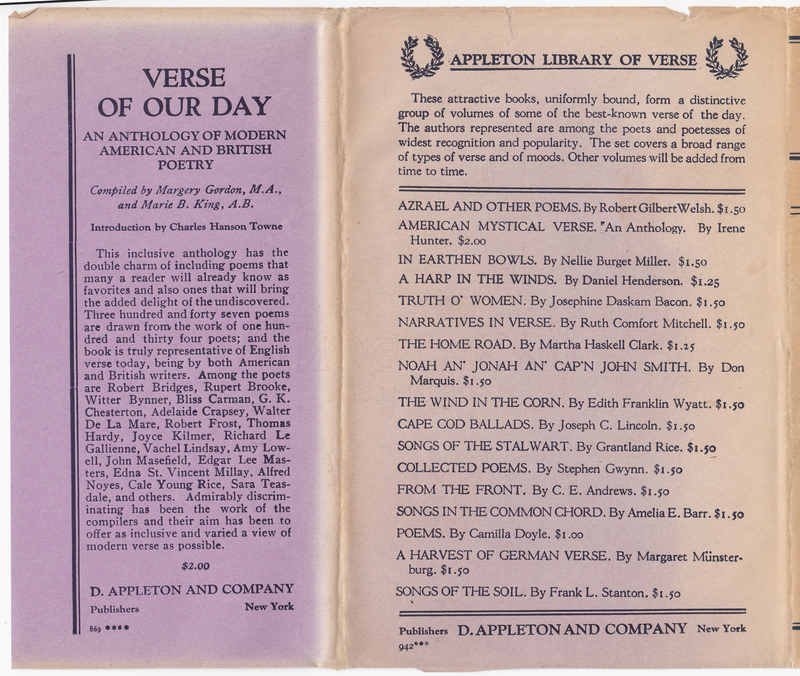 The rear jacket flap includes an advertisement for Verse of Our Day (which does not seem to be in the Appleton Library of Verse series). Green cloth bindings have gold typography and decorations, including a wreath on the front of the book as well as the title. The series name is not printed on the book cover. The copyright page and an indication of printing (in the US). The second to last page in the book includes a shorter list of titles, probably issued up to 1925 when the book was published. 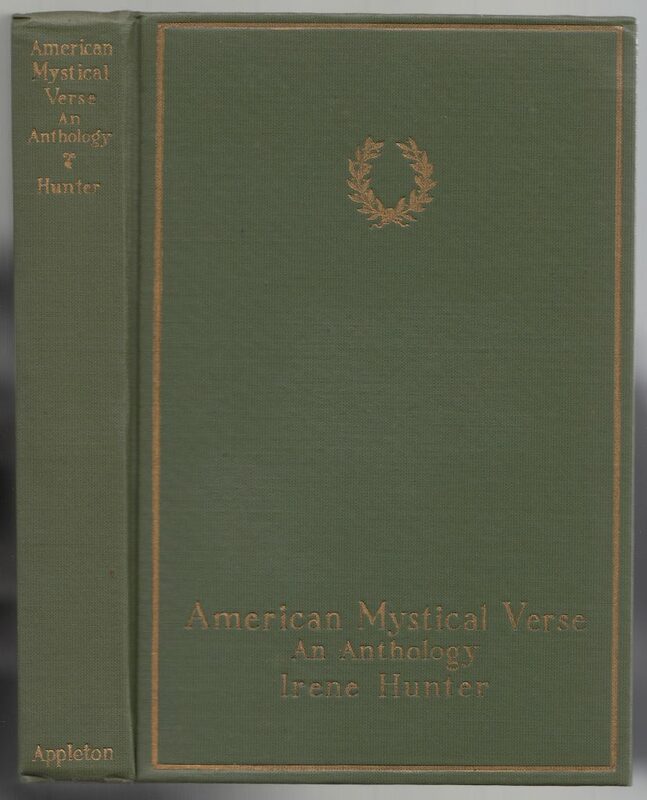 The jacket has more listed titles, suggesting it may have been swapped out for a newer jacket by the publisher, probably around 1927 or 1928 (the practice was not uncommon to freshen up books that had not yet been sold). 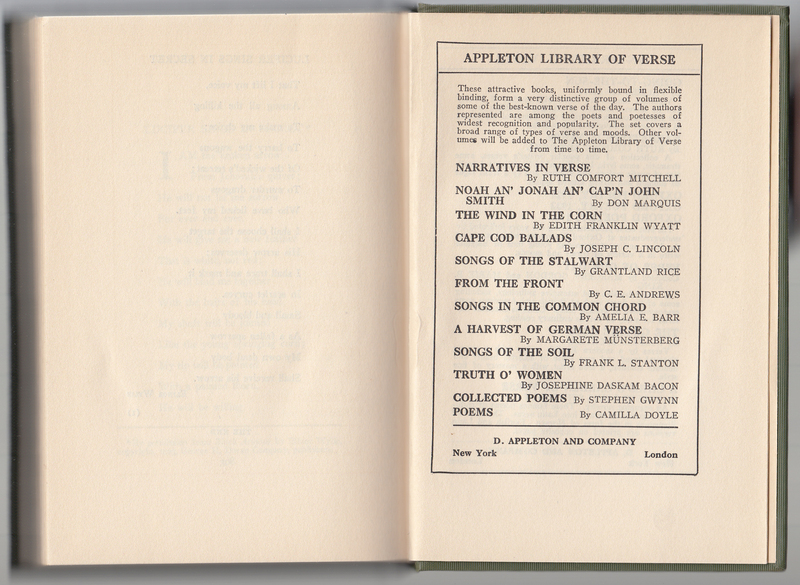 On the reverse of the series catalog is an advertisement for other poetry books issued by Appleton in the ca. 1925 era.